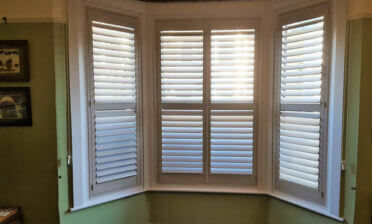 Ben visited a homeowner in Beckenham, Kent to install some new shutters for one of the rooms in the property. The shutters were to cover a large opening to the outside of the home and needed to not only let in great natural light, but allow for privacy when needed. 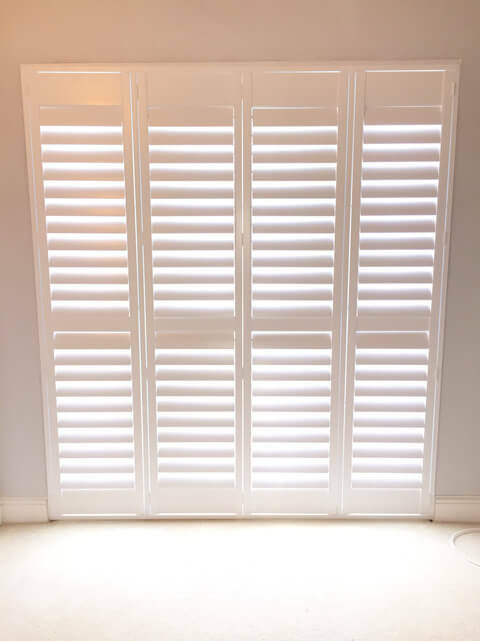 Taking into account the height of these shutters and the need for light and privacy, they were designed with a mid rail fitted directly in the middle. Not only does this help with the strength of the panels but it also allows for the shutter panels to be adjusted independently at the top and bottoms. Many customers love that you can fully close the bottom section for privacy while still allowing plenty of light in through the top. The shutters were created using MDF in a full height style. 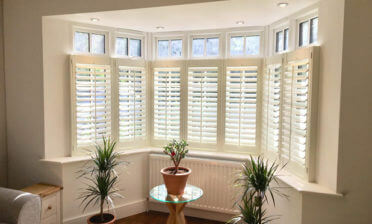 The louvres are 89mm with a silent tilt rod system for adjustment. We fitted the shutters into this large recess using a 4 sided deep plain L frame and finished everything in pure white with matching white hinges. 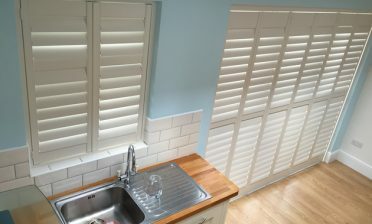 These shutters are not only highly versatile but also look fantastic in the room open or closed.